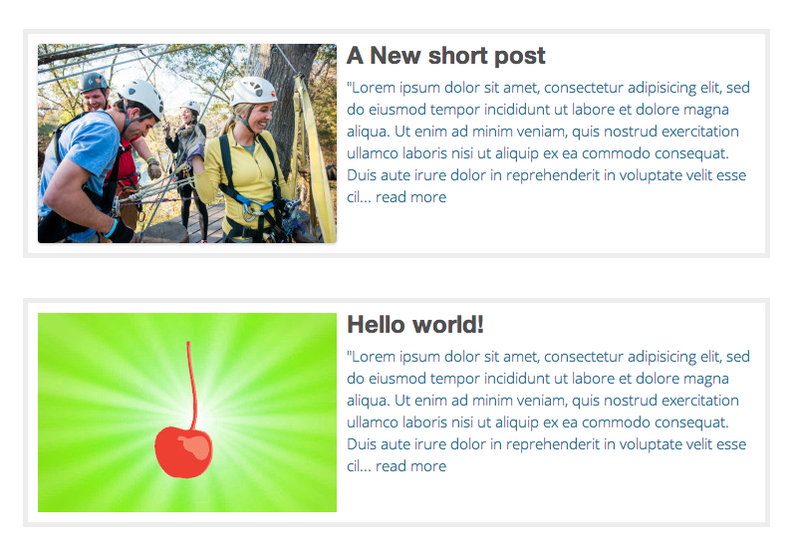 A Simple layout for WordPress Blog Posts. This would show a Featured image, Title and a custom Excerpt in a clickable div. To get the custom Excerpt going, you’re going to have to add this function to your theme’s fucntions.php file. // Limit the excerpt without truncating the last word.